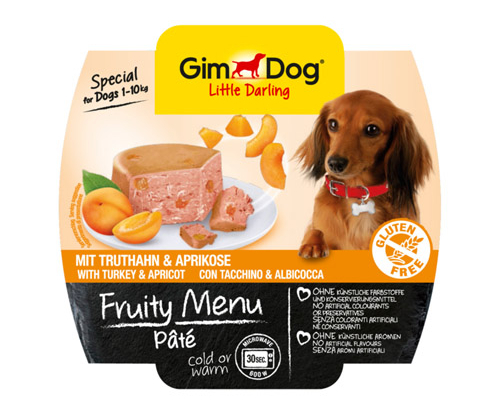 Fruity Menu Pâté with turkey and apricot – A pâté made from fine turkey and ripe apricot pieces. The taste combination of a regal feast. meat and animal derivatives (54%, chicken 50%, turkey 4%), fruit (apricots 4%, from dried fruit), vegetables, cereals (rice 2%).